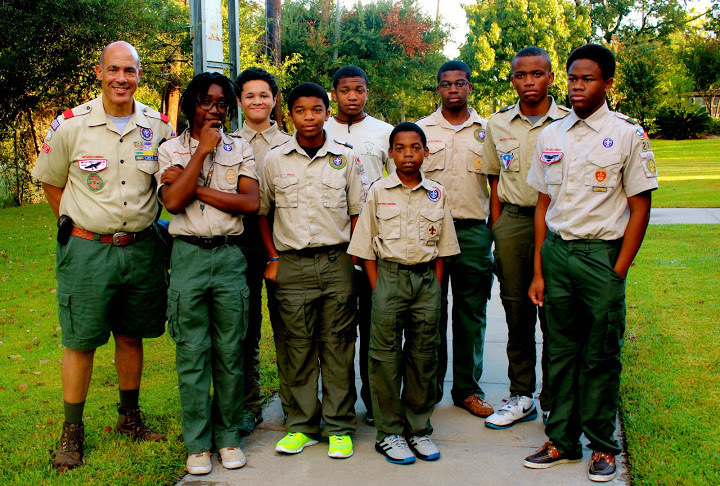 Troop 212 includes approximately 20 active Boy Scouts, ages 11 through 17. Troop 212 serves as a ministry of St. James' and 25% of the troop positions are set aside for boys that cannot otherwise afford the program. In addition to traditional camping activities, the troop serves the homeless through through the Jubilee Ministry. Troop 212 has produced 14 Eagle Scouts since 2007. Weekly meetings on Saturday mornings at 9 am. One-week Summer camp at El Rancho Cima Scout Ranch (near Canyon Lake in the Texas Hill Country). Flag ceremonies throughout the region. Participation in the Scout Fair.